Bupyeong Hyanggyo is a 'Hyanggyo' located under Mountain Gyeyang. 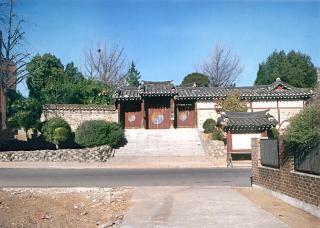 'Hyanggyo' is a public educational institute which teaches local people and perform ancestral rites to saints of China and Korea such as Confucius. It was first built in 1127, and it was re-built after the Byeongja War (1636). The remaining buildings are built after 18th century, passing through several repairs. The buildings' placement is following the traditional placement style of Hyanggyo, which is placing the educational building before the ritual building. Now, the Hyanggyo has the ritual function only.